Fight burnout and stress: Go play! | Working. Together. Fight burnout and stress: Go play! It is amazing to me how often I hear about the themes of burnout, stress, lack of creativity and innovation, stagnation, etc. from people in business, nonprofit, educational, and religious work spaces. The truth of the matter is, we likely have all felt ourselves in these downward cycles that occur at work from time-to-time (or in some cases, all the time). Why? Let me detail one workplace that I was in, where this easily could have been the case, but rarely ever was. I worked in college admissions for a small, private, religious higher educational institution. We faced aggressive targets for enrollment, high expectations for student contacts, and the hope of a solid close rate for campus visits. All of these things could have been overwhelming to a group of workers who were mostly just out of college themselves. But it didn’t. Recently, I have been influenced by a stream of research that has focused on the importance of play. Research by Stuart M. Brown, M.D. points to the reality that play is not only fun, it is vital to our living and working! He points to play, you know that stuff you did when you were younger – before everyone told you to grow up and be serious, as a mechanism that shapes the brain, opens the imagination, and invigorates the soul (which just happens to be the subtitle for his book). Dr. Brown along with the National Institute for Play are working to bring about a greater understanding of what play actually does for us as humans (think energy, happiness, creativity, etc.) and this is a very exciting project. So back to the potentially stressful work environment. How did we get through this? We played. A handful of us had a standing pattern. When stress got high, calls were not going as planned, etc. we would take a break, walk down to the Campus Center and play foosball. 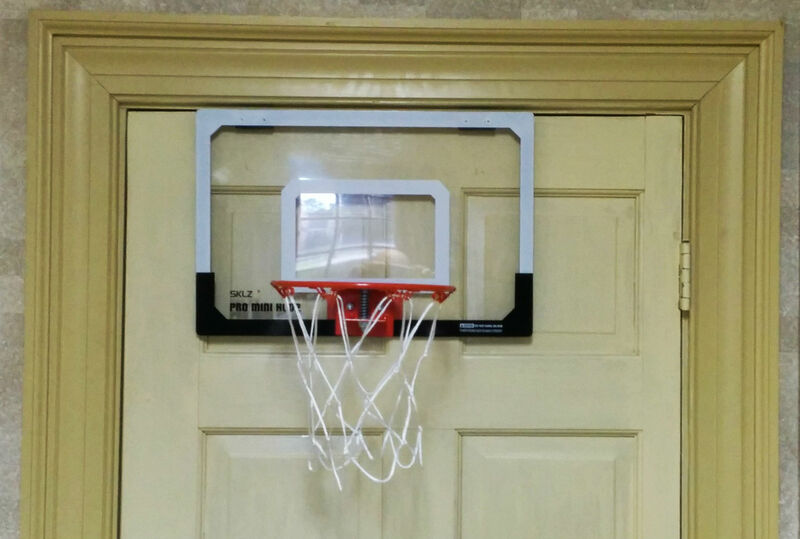 Other times, when we were unable to step away we would shoot hoops on a flimsy door mount basketball hoop. Still other times we would engage in word play over the way someone said something in a previous call, or even – when computers were left “unlocked” we might come back from lunch or a break with a desktop background of a cat, or a screen saver of our designated “employee of the month”. This was on top off our semi-regular lunchtime basketball playing and evening euchre games. This could have been problematic, but thankfully during that period of time we had supervisors who understood the benefit that this play brought to our workplace: harmony, energy, teamwork, concern for others, and creativity. What a realized in those instances, and have recently tried to reconstruct due to mounting levels of priorities, was that play helps. Think about it. The energy you get from stepping aside to play for even a few minutes provides fuel for an hour of work or more, easily. Some people may look at you as immature, a screwoff, or even worse for playing in the midst of these environments, but your ability to stay sane, produce creatively, and maintain energy will be all the proof you need for play. So, how can you incorporate play into your work? ← Know yourself. It’s a must!